Chemical analysis shows that the human body is made up of specific chemical elements. Four of these elements—oxygen, carbon, hydrogen, and nitrogen— make up 96% of body weight. All the remaining elements are minerals, which represent only 4% of body weight. 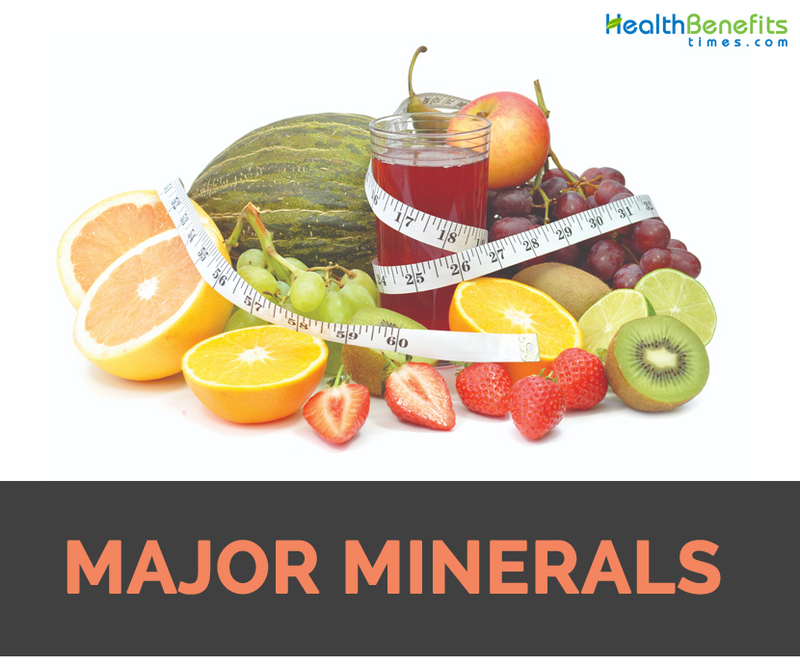 Nevertheless, these minerals are essential for good health. A mineral is an inorganic element necessary for the body to build tissues, regulate body fluids, or assist in various body functions. Minerals are found in all body tissues. Any abnormal concentration of minerals in the blood can help diagnose different disorders. Minerals cannot provide energy by themselves, but in their role as body regulators, they contribute to the production of energy within the body. Minerals are found in water and in natural (unprocessed) foods, together with proteins, carbohydrates, fats, and vitamins. Minerals in the soil are absorbed by growing plants. Humans obtain minerals by eating plants grown in mineral-rich soil or by eating animals that have eaten such plants. The specific mineral content of food is determined by burning the food and then chemically analyzing the remaining ash. Highly processed or refined foods such as sugar and white flour contain almost no minerals. 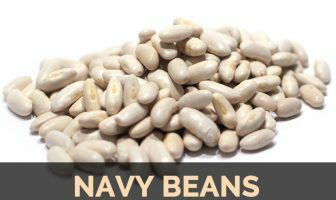 Iron, together with the vitamins thiamine, riboflavin, niacin, and folate, are commonly added to white flour and cereals, which are then labeled enriched foods. Most minerals in food occur as salts, which are soluble in water. Therefore, the minerals leave the food and remain in the cooking water. Foods should be cooked in as little water as possible or, preferably, steamed, and any cooking liquid should be saved to be used in soups, gravies, and white sauces. Using this liquid improves the flavor as well as the nutrient content of foods to which it is added. Minerals are divided into two groups. They are the major minerals, so named because each is required in amounts greater than 100 mg a day, and the trace minerals, which are needed in amounts smaller than 100 mg a day. Electrolytes are essential in maintaining the body’s fluid balance, and they contribute to its electrical balance, assist in its transmission of nerve impulses and contraction of muscles, and help regulate its acid-base balance. Normally, a balanced diet will maintain electrolyte balance. However, in cases of severe diarrhea, vomiting, high fever, or burns, electrolytes are lost, and the electrolyte balance can be upset. Medical intervention will be necessary to replace the lost electrolytes. Scientists lack exact information on some of the trace elements, although they do know that trace elements are essential to good health. The study of these elements continues to reveal their specific relationships to human nutrition. A balanced diet is the only safe way of including minerals in the amounts necessary to maintain health. The Food and Nutrition Board of the National Academy of Sciences–National Research Council (hereafter NRC) has recommended dietary allowances for minerals where research indicates knowledge is adequate to do so. For those minerals where there remains some uncertainty as to amounts of specific human requirements, the NRC has provided a table of Adequate Intakes of selected minerals. The NRC recommends that the upper levels of listed amounts not be habitually exceeded. In addition, the Institute of Medicine has developed Daily Reference Intakes (DRIs) for calcium, fluoride, phosphorus, and magnesium. The DRI incorporates Estimated Average Requirements (EAR), the RDA, and Tolerable Upper Intake Levels. Because it is known that minerals are essential to good health, some would-be nutritionists will make claims that “more is better.” Ironically, more can be hazardous to one’s health when it comes to minerals. In a healthy individual eating a balanced diet, there will be some normal mineral loss through perspiration and saliva, and amounts in excess of body needs will be excreted in urine and feces. However, when concentrated forms of minerals are taken on a regular basis, over a period of time, they become more than the body can handle, and toxicity develops. An excessive amount of one mineral can sometimes cause a deficiency of another mineral. In addition, excessive amounts of minerals can cause hair loss and changes in the blood, hormones, bones, muscles, blood vessels, and nearly all tissues. Concentrated forms of minerals should be used only on the advice of a physician. Next Article Should You Take Supplements?